Every year, Milken’s most musically inclined students board busses and embark on a trip to Orange County for a weekend of performance, competition, and, hopefully, victory. This year, they returned to Milken’s campus with a substantial amount of new hardware. To say the least, this year’s WorldStrides Heritage Festival in Anaheim will not soon be forgotten by Milken’s Performing Arts department and the students in its competing ensembles. Milken’s Jazz Band, Chamber Ensemble, Beginning Orchestra, and concert choir, Kol Echad, were awarded Gold status by the adjudicators at the Festival, and Milken’s Concert Orchestra was given a Silver plaque for their efforts as well. Aside from their prestigious Gold and Silver titles, a handful of ensembles were named best in their respective categories. 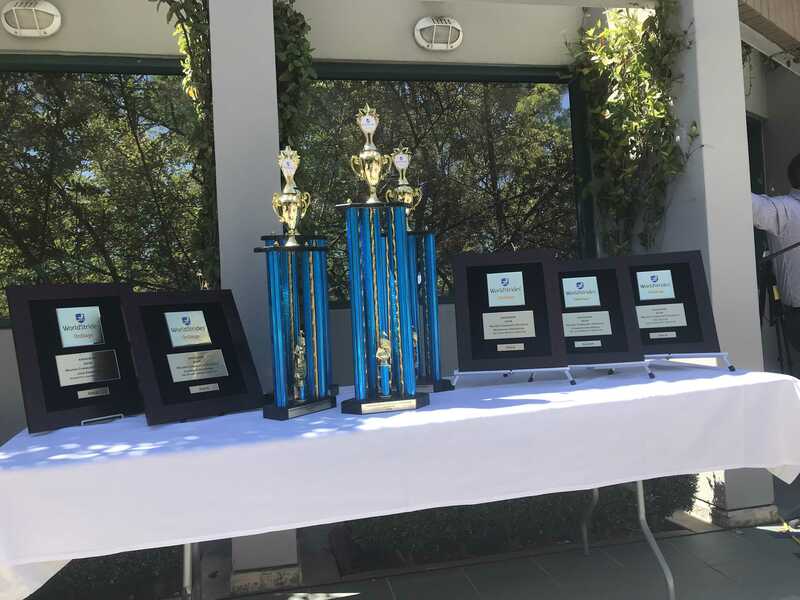 The Jazz Band was awarded the title of Outstanding Band Group, the Chamber Orchestra was named Outstanding Orchestra Group, and Milken as a whole won the overall Sweepstakes for Best Instrumental Program and Best Total Program. This type of success would be widely celebrated in any year, as, in being named the Best Total Program, Milken’s Performing Arts department has achieved the paramount level of recognition for artistic success at the Heritage Festival. However, what’s more, this year’s level of achievement seemed more difficult to attain given the changes recently experienced by the Performing Arts department. Ms. Caren Heller became the head of the department at the start of the year, while Kol Echad was introduced to a new director, Ms. Sarah Shapiro. Nevertheless, both Kol Echad and the department as a whole had an impressive showing at Heritage Festival this year and were awarded accordingly. Much of the Performing Arts faculty has been at Milken for years, including the director of Milken’s orchestral program, Dr. David Brown, and Jazz Band director, Mr. Ken Lasaine. Evident in Milken’s success in the instrumental aspect of the festival is years of hard work by the ensembles’ directors developing their programs. However, even they might’ve been somewhat surprised by this level of achievement. “I’d dreamt of being able to accomplish this much sometime in the next five years,” Dr. Brown told The Roar. “Being able to achieve this much this year was simply remarkable.” When asked about how his Chamber Ensemble particularly won the hearts of the adjudicators, Brown said that he thought the combination of both sound fundamentals and creative performance methods earned a high score.